In most major cities around the country, ’tis the season for no-charge events like concerts in the park, farmer’s markets and rooftop movies. So if you’re broke, now’s the time to travel. And even if you’re not broke, well, who doesn’t love not having to pay? Ah, Chicago. The Windy City. The giant metropolis of the Midwest. When visiting such a huge city, you can’t see everything, so how do you decide how to spend your time? Well, one way is to let someone else decide for you. Chicago’s Greeter Program will pair you with a free tour guide who can give you a local perspective of any of 25 neighborhoods. If you feel like doing the touristy thing, your guide can take you and up to five of your travel companions to any of 40 attractions. Just make sure you book at least 10 days in advance. Got a trip to New Orleans planned? Congrats! You’re headed to one of the most fun cities in America. But you’re also going to melt if you go any time over the summer, and you can only have so many of those Bourbon Street daiquiris to cool you down before you do something you’re going to regret. So escape the heat of NOLA at the Sydney and Walda Besthoff Sculpture Garden at NOMA (that’s the New Orleans Museum of Art). Enjoy the shade of the pines, magnolias and Spanish moss-covered oaks as you scope out the area’s 64 sculptures. The museum itself is free for Louisiana residents on Wednesdays, and teens through 2018, but it’s worth the $12 admission price for its 46 galleries, expansive art collection and, yes, air conditioning. Believe it or not, Orlando’s got a lot more to offer than Disney. This city’s not all amusement parks and water parks – there are some beautiful city parks, as well, and they’re a heck of a lot cheaper. Lake Eola Park serves as the centerpiece of the city, filled with oak trees, cityscapes, and plenty to keep you busy – like a Sunday farmer’s market, bird feeders for the large variety of avian creatures, and plenty of green space to chill out for awhile. Feeding swans not your things? Rent a paddle boat that looks like a giant swan instead. The Portland Saturday Market (which is also open Sundays) is like something lifted straight out of a Portlandia sketch. Glassblowers? Check. Sacred crystals? Check. Vegan soap, Steampunk paintings, and henna body art? You’re damn right. The market has over 200 booths with work from more than 350 local artisans, freshly cooked food and a stage featuring live music. Even if you don’t buy anything, it’s worth a visit just to see the people of Portland keeping it weird. A concert at Red Rocks Park and Amphitheatre is truly an unparalleled experience. The backdrop of the stage is a natural sandstone formation, and two 250-million-year-old, 300-foot sandstone slabs form the walls of this natural outdoor concert venue that offers sweeping views of Denver below. Red Rocks hosts major musical acts and outdoor movies all summer long, which are usually not free. But entrance is gratis when there’s no concert going on, and the area – which also happens to be a state park, open even during concerts – has no charge. And the moderate 1.4-mile trail that loops around the area offers magnificent vistas and the opportunity to listen to whomever is playing inside. If you can manage, it’s worth planning a trip to Philly around the first Friday of the month. First Fridays offer art lovers free entry to a number of galleries in the Old City Arts District. More than 40 galleries in the area welcome guests to see a diverse range of work – everything from contemporary multimedia works to ceramic arts. Most galleries are open to the public from 5-9, and quite a few even serve free drinks and hors d’oeuvres. Point Bonita Lighthouse is – just as the name indicates – beautiful. It’s also recently restored and has a history dating back to the 19th century. But that’s not why you should go to this San Francisco landmark. You should make the steep drive, and following steep half-mile walk, because this structure perched at the edge of a cliff overlooking the Pacific offers incredible views of the ocean and many uninterrupted miles of the Northern California coast. If you’re going on one of those “what happens in Vegas stays in Vegas” type of trips (and let’s be honest, with the amount of gambling, booze and all other manner of vices that flood through Sin City, you probably will be on such a trip even if that’s not what you intended), you’re going to need something clean to document the time you spent in the glowing lights of the desert. So head down to the iconic neon Las Vegas Sign, designed by Betty Willis in 1959, and appearing in just about every movie ever made that takes place in Las Vegas. Make sure to grab a photo. That way, even if you forget everything else that happens while you’re on the Strip, you’ll at least remember your Welcome to Fabulous Las Vegas. Similar to Philadelphia’s First Friday, Phoenix offers visitors a chance to engage with the local art community and experience some of the city’s best galleries at no cost on the first Friday of each month. Visitors also get a unique opportunity to witness artists create their work, much of which is on sale. Food trucks and art vendors set up shop along the Roosevelt Row Arts District, and street performers and musicians bring a little extra action to an already lively event. This is reportedly the largest art walk in the country, but fear not – a free shuttle makes getting around easy. New York is America’s largest city, with five separate boroughs, each with its own distinct flavor. But Central Park is big enough, and diverse enough, to be the city’s unofficial sixth borough. This 1.4-square-mile oasis of green space spans from 59th Street to 110th Street in Manhattan. 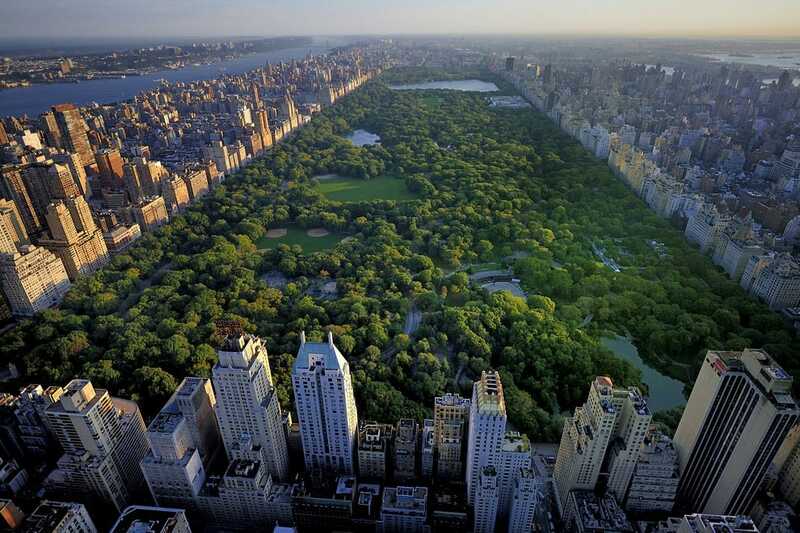 Throw the frisbee or football around in Sheep’s Meadow, watch a softball game at the baseball diamonds, check out the animals at the Central Park Zoo, ride the carousel, or simply plop down a blanket and a picnic basket under one of the 21,500 trees, and read a book or people watch. Previous articleThe Cast of The Nanny – where are they now?